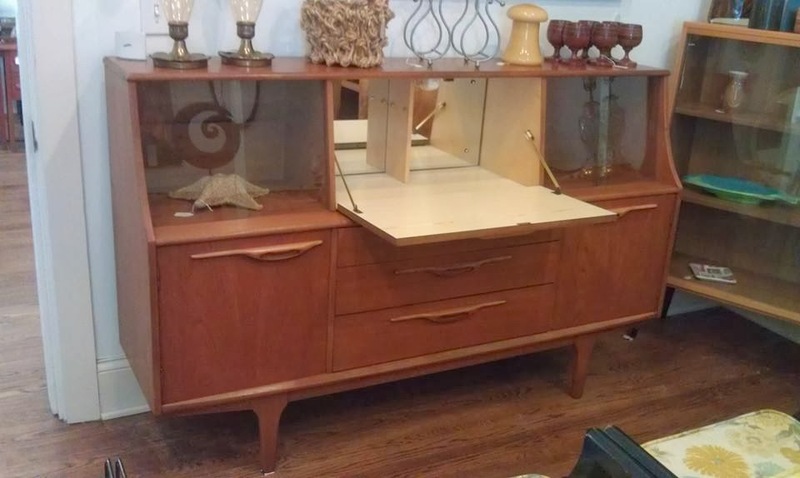 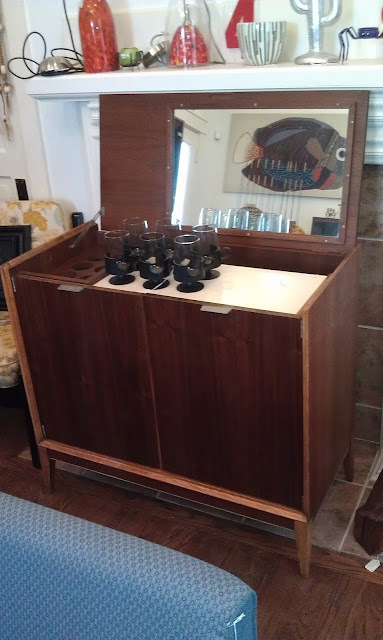 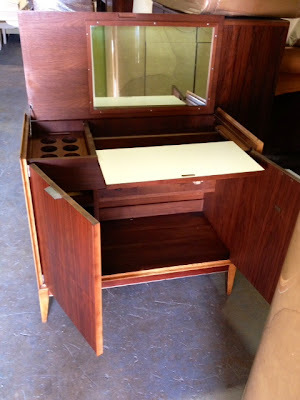 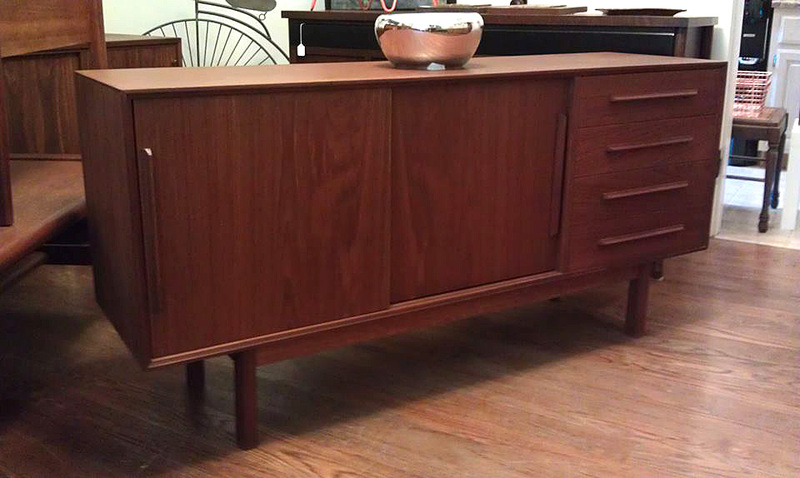 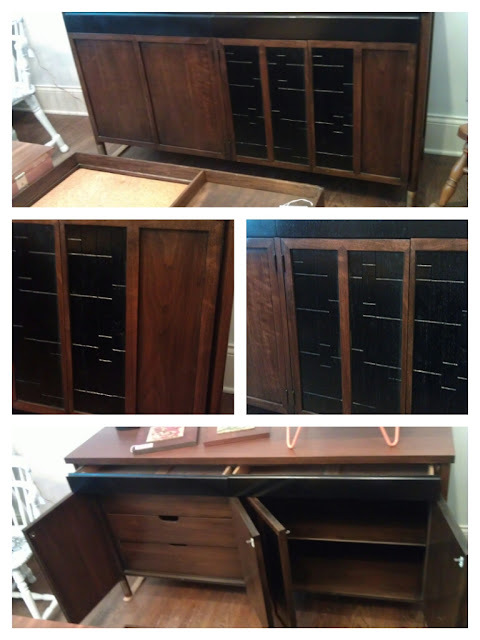 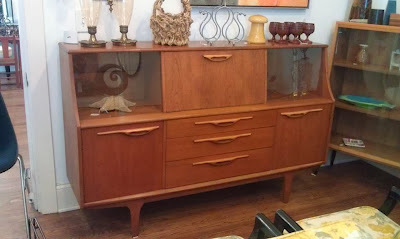 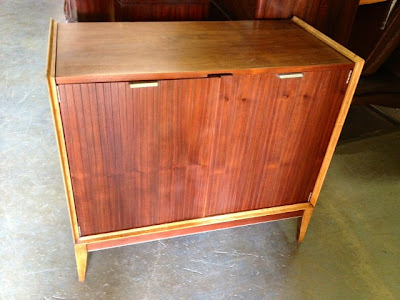 Fabulous Teak Bar Cabinet Buffet with glass doors. 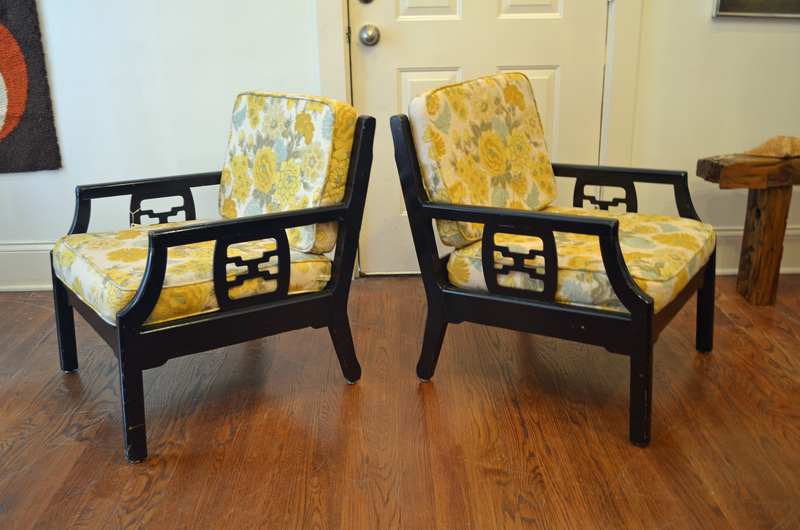 Mid century Vintage Asian style Lounge Chairs. New webbing. 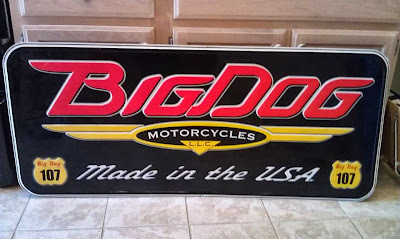 36 1/8"w x 32 1/2"h x 18"d.